Workers laid the cornerstone of the Hampden Presbyterian Church in 1875 and dedicated the building two years later. The sturdy structure is made of Texas Limestone, named for the unincorporated town in Baltimore County where the quarry is located. The church originally housed a Sunday school on the first floor and a sanctuary on the second floor. 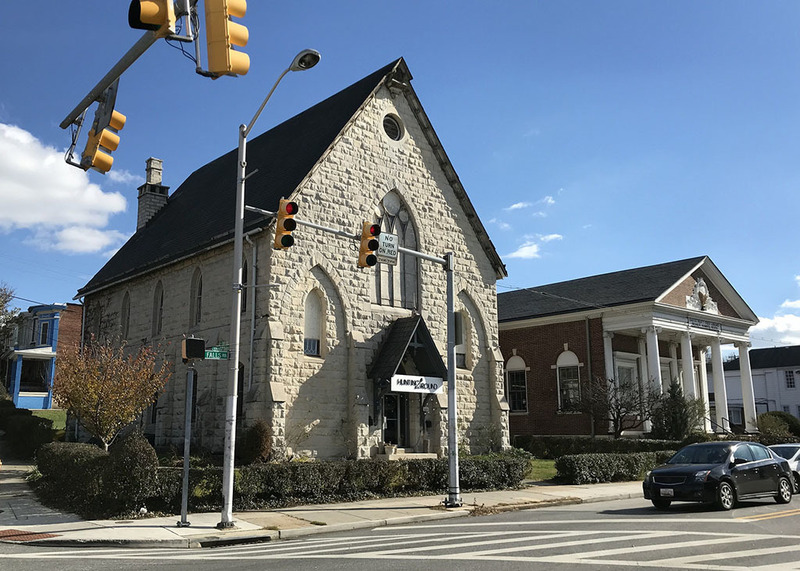 In the 1970s, after experiencing a steady decline in parishioners and financial difficulties, the Hampden Presbyterian Church merged with nearby Waverly Presbyterian Church. 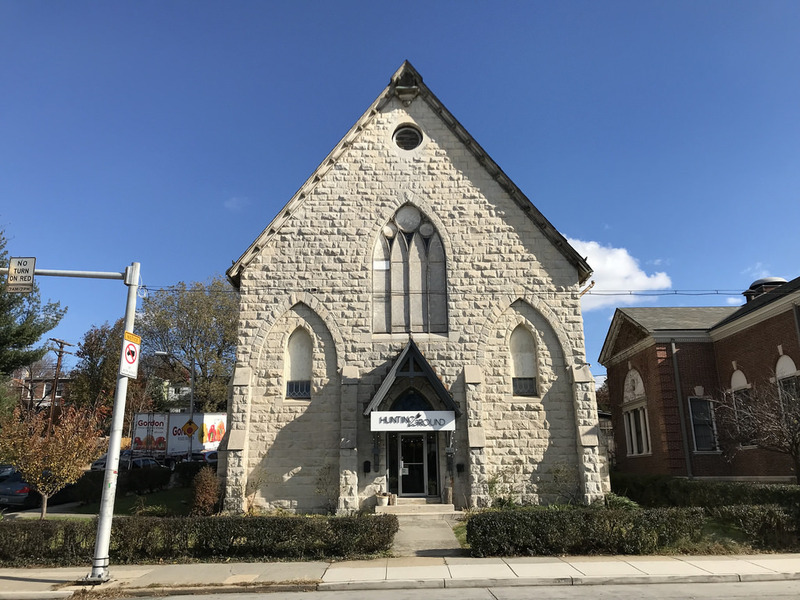 The newly merged congregations used the Waverly church for services and the Hampden building served other purposes including as a community center, clinic, offices, and apartments. In 2011, the congregation sold the building and Church & Company moved in. 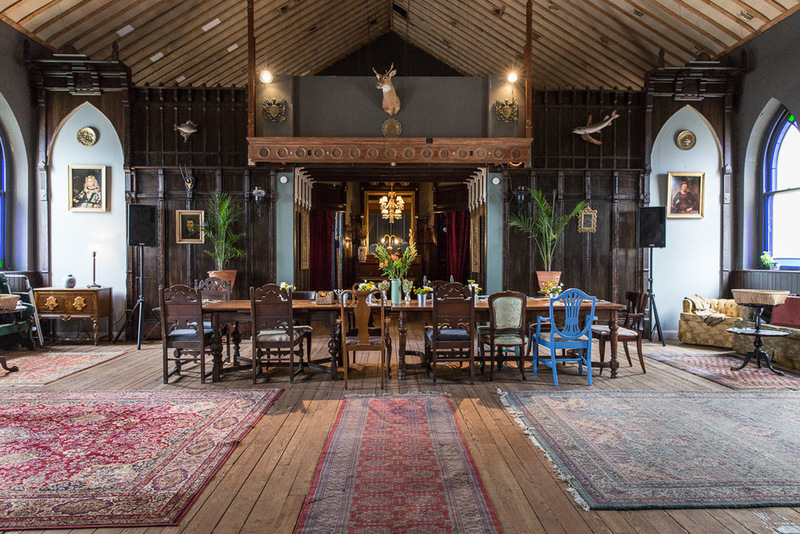 Owners Alex Fox and Joey Rubulata removed the old paint, paneling and ceiling tiles that accumulated from years of different uses and restored the sanctuary to its original layout. Church and Co. rent the sanctuary out for weddings, large gatherings, and music performances, and a vintage clothing store now occupies the old Sunday school portion of the building. Nathan Dennies, “Church & Company,” Explore Baltimore Heritage, accessed April 19, 2019, https://explore.baltimoreheritage.org/items/show/516.